Md. Shahidul Islam, cropping systems agronomist of CSISA-IRRI in the Barisal Hub, presented the keynote paper. 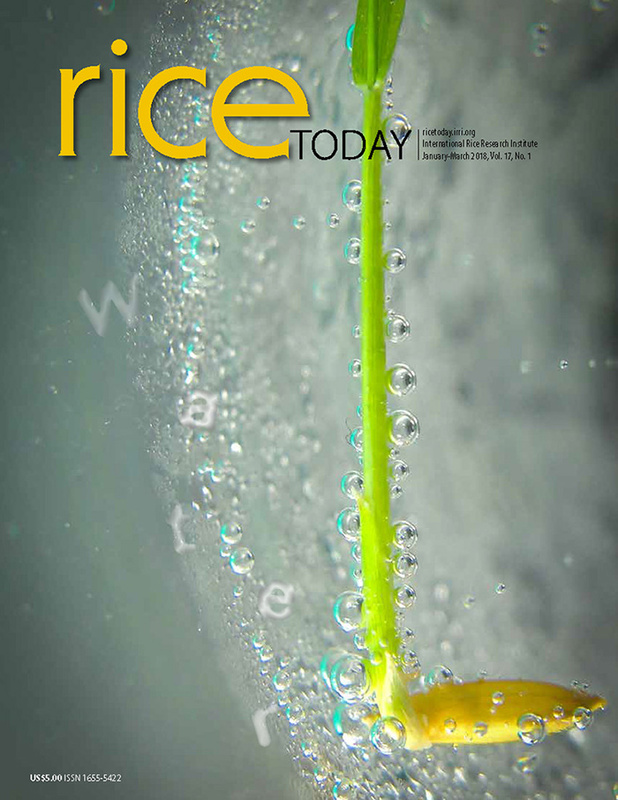 Others who presented papers on prospects and problems in the adoption of high-yielding rice varieties in their respective areas were: Debangshu Kumar Saha (DAE-Barisal District); Md. Lutfar Rahman (DAE-Barguna District); Md. Abdur Razzak (DAE-Jhalokathi District); Niruttom Kumar Sarkar (DAE-Patuakhali District); and Satyen Mondal, head, BRRI R/S, Barisal. The presenters and some of the participants exchanged accounts of their own experiences through lively discussion. Also during the activity, a farmer named Md. 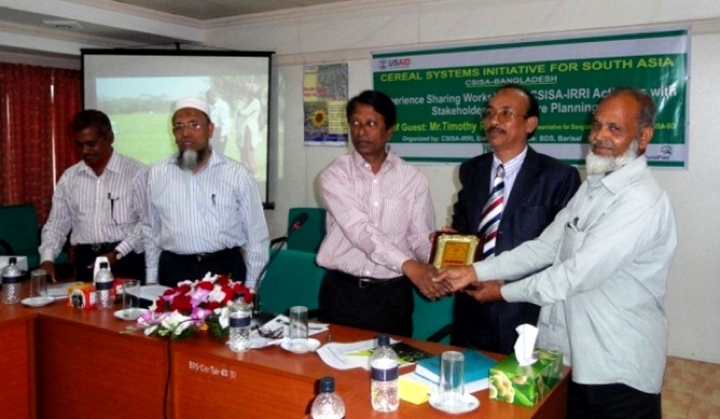 Jalal Ahmed Akon received a crest from DAE-Barisal for his outstanding contribution to CSISA-IRRI activities and in the dissemination of modern rice technologies among farmers. Khondokar Sirajul Karim, additional director, DAE-Barisal, encouraged the participants to provide services appropriate to a community, with emphasis on production of good-quality rice seeds and seeds of high-value crops such as flower, carrot, sunflower, and mungbean. Guests of the event were Shahid Ullah, additional director for implementation, Field Service Wing, Khamarbari, Dhaka; Khondokar Sirajul Karim, additional director, DAE, Barisal; and M.A. Saleque, coordinator, CSISA-IRRI. Loretta Hempsall, corporate services manager, CSISA-IRRI, also attended the workshop.